Yesterday was shots day at the barn. Spring shots – the yearly standards including rabies, flu and a few others. Our barn “Mom” (owner) gets the list together of who wants what, and when the vet arrives, we have our equines polished and preened such as we did with our kids when we took them to the pediatrician for their yearly physicals. 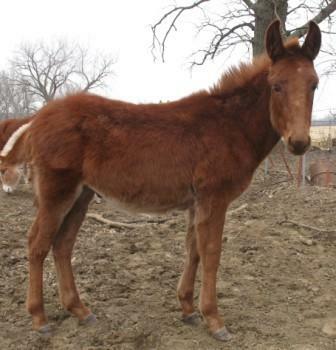 Our barn is home to a ‘feral’ mule; correction: a mule who was previously owned by an Amish farmer and while he was there, something happened that filled his little life with terror. This boy, Rudy, has an exceptionally soft and gentle eye, except for when he is startled by something or when one of the minis in his paddock pick on him, and then soft brown turns to white flash. I fell in love with his as soon as I set eyes on him, but it is just in the last year that I made him my personal project. Our barn Mom welcomes my efforts, and helps me from time to time, but mostly she lets me do my thing. With Rudy, it’s not about technique, it’s about patience, body language, softness and consistency. A year ago, Rudy would not come to take a treat and if I moved, even slowly, he bolted in fear. Now: he takes treats – he has become a HUGE fan of ginger snaps – from my hand. He is incredibly gentle, just brushes his lips against my hand, now with happy anticipation and a level of confidence we never thought we’d see. Yesterday Rudy needed to get his shots, too. In the past, the vet had to tranquilize him just to do so. Not yesterday. Barn Mom got him into a narrow but open pen. I held his head and while the vet did her thing, I whispered sweet nothings into his big mule ears and plied him with ginger snaps. And then, I touched him! I petted him, and he welcomed it – probably the first human touch, besides shots, that he’s had since that Amish farmer did whatever he did to a beautiful little mule with warm, soft eyes, and a muzzle as soft and gentle as they come.